We are pleased to announced that the Prison Entrepreneurship Program was awarded a $25,000 Community Impact Grant from New York Life to support our “From Prison to Paycheck” initiative, which will ensure a 100% employment rate among the graduates of our in-prison training program. “New York Life strongly encourages its employees and agents to give their time and talents to help make a difference in our community,” said Steve Heussner, co-founder of Mogul Wealth Strategies and the representative of NYL who nominated PEP for the award. 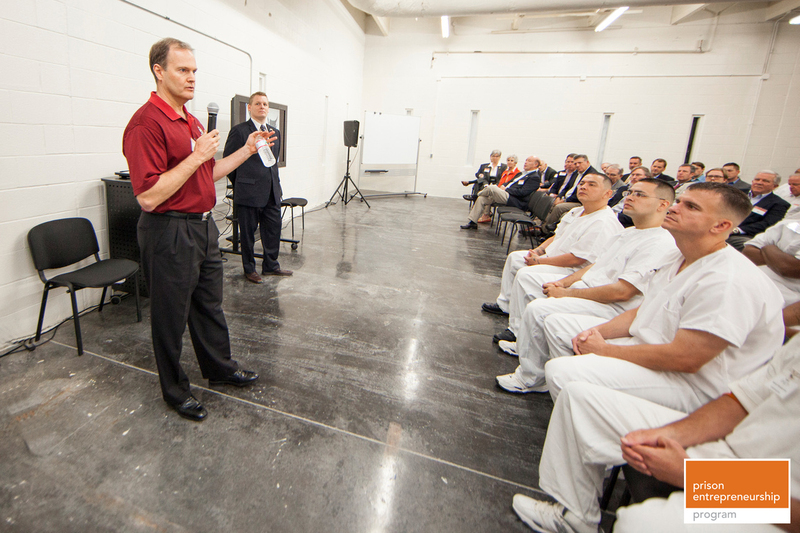 Steve is pictured above volunteering in prison at the Kickoff for our Leadership Academy in the Sanders Estes Unit in Venus. Texas. The Community Impact Grant program awards grants of up to $25,000 to local nonprofit organizations which are championed by New York Life agents and employees to serve the needs of their local communities. Three hundred and twelve grants totaling nearly $4 million has been awarded to nonprofits across the country since the program’s inception in 2008. 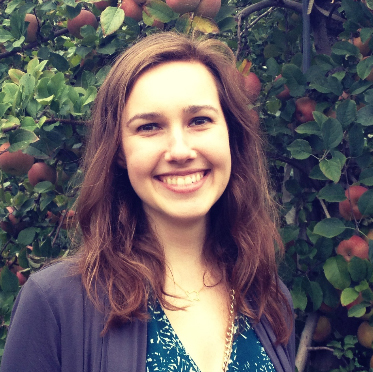 The following was written by Sara Blair Matthews, who served as PEP’s first Creative Writing Instructor this past summer. .
I’m willing to wager that I have more prison experience than the average twenty one year old. I’ve been in four different units, interacted closely with around eighty prisoners, and have taught three creative writing courses. I’ve walked through metal security detectors more times than I can count, encountered dozens of questioning stares from guards, and have even gotten to walk across a few prison campuses on my own. My family and friends have gotten used to hearing, “I’ll call you when I get out of prison” or “I had an amazing day in the unit!” However, few, if any, of them truly understand what it’s like to interact with incarcerated individuals day in and day out and see how they can change not only their lives but also the lives of volunteers each and every day. 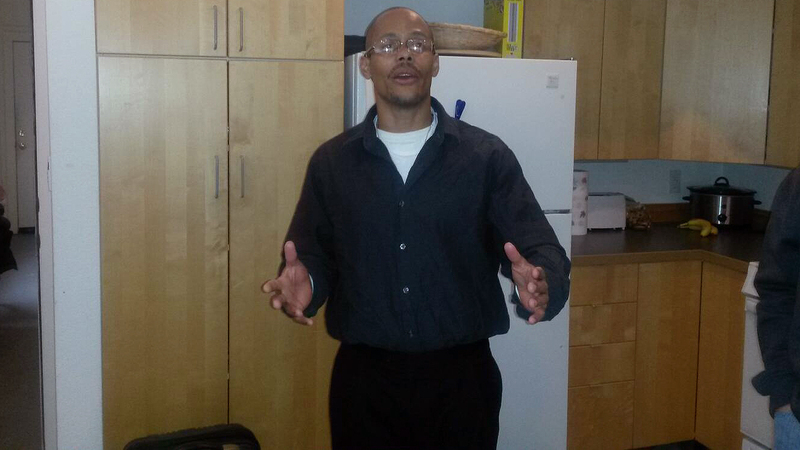 After we met at a prison education conference, PEP’s CEO Bert Smith offered me a job with PEP. He felt that my passion for writing and innovation in starting a creative writing course at Muncy women’s prison (near my alma mater Bucknell University) could be an asset to PEP’s curriculum. After learning more about the company from my father, who had volunteered as a mentor a few years back, I eagerly accepted his offer and set about creating a syllabus that incorporated my love of literature and writing with PEP’s governing philosophy and driving values. Although I had previously taught two creative writing courses at Muncy Women’s Prison, I was nervous about leading this course at a men’s unit. I wondered if they would be as open as the women were about sharing their stories and exploring their emotions. I scrutinized my syllabus and wondered if they would balk at some of the more dense readings like Henry David Thoreau’s Walden or poetry from Shakespeare. I prayed a lot in the weeks prior to my class and asked God to be with me during this time. I invited him into my heart to teach these men the power of mastering their emotions as well as their past and present through the writing process. I immediately found that the men in my class were extremely open, intelligent, and eager to soak up what I taught them. They began to open up to me through their writing, and I grew more and more amazed by PEP’s ability to transform these men’s past traumas into power and determination to create a better future for themselves and their families. It was such an amazing moment for me- to look around the room and see all their love and support. I remember thinking that only my very closest family and friends were this vocal about their belief in me, and it rendered me speechless that these men were so appreciative and cared so much. I knew right then and there that if they channeled this much positivity, support, and love into their relationships on the outside that these men would make it out of the prison gates and into God’s everlasting kingdom. It’s official: PEP is launching operations in a second prison this month! ! ! Now in our 11th year of service, PEP recently secured approval from the Texas Department of Criminal Justice to pursue this expansion. We have spent the past few months in a quiet planning mode with the leadership from MTC, the private operators of the Sanders “Sandy” Estes Unit (a TDCJ prison) in Venus, TX. Representatives from their team met with PEP’s leadership team, and the Warden even visited our existing program in the Cleveland Correctional Center to see PEP in action. 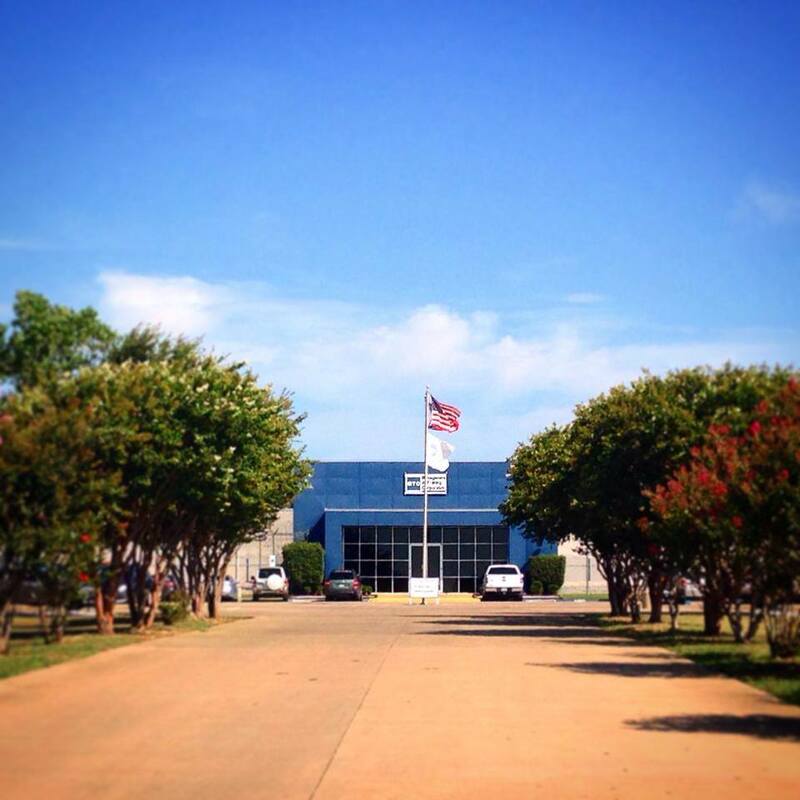 Yesterday, our staff met with the team at the Estes Unit to finalize plans for our launch. We have already transferred 10 servant leaders (past graduates) there to guide the program’s first class of forty participants through PEP’s new “Leadership Academy.” These incarcerated men are taking on the critical task of building PEP’s culture within this new unit. . . which is only 45-60 minutes away from Downtown Dallas! The task will be a challenging one in some ways. With 1,040 beds, the Estes Unit is twice the size of the Cleveland Correctional Center where PEP has offered our in-prison initiatives for the past several years. The ratio of PEP-to-General-Population also drops from 3-to-2 down to 1-to-20+. But we believe firmly that our ten Servant Leaders are up to the task. They will also be guided by a full-time staff member: PEP graduate Gami Jasso, who has returned to PEP for his third “tour of duty” with the organization (Gami is formerly a re-entry manager for the Dallas area who will now serve as the manager for our in-prison initiatives at the Estes Unit; he returns to PEP after serving in a similar role for adjudicated youth involved in Youth Village Resources of Dallas). 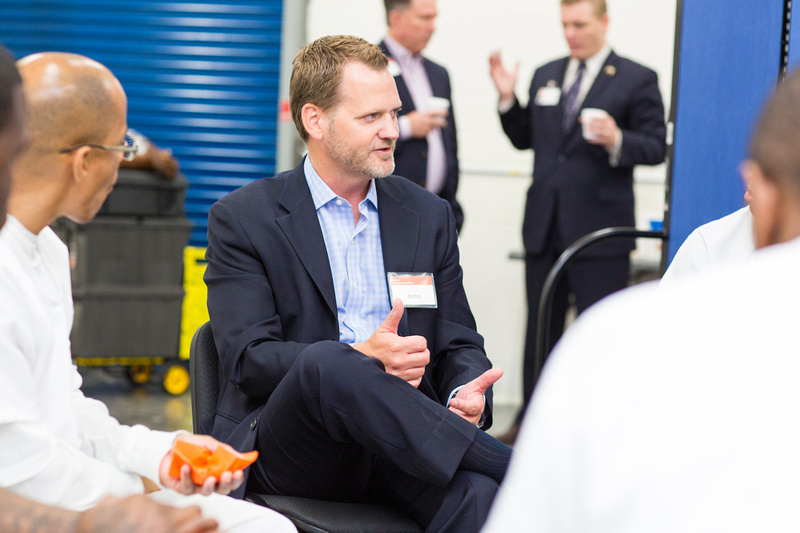 The team at MTC has also been fully supportive of our efforts; their leadership team has been especially committed to our mission of transforming the lives of incarcerated men and their families, so we anticipate this new effort will be very successful. Formerly known as “Effective Leadership,” the Leadership Academy (“LA”) now serves as a three-month precursor to PEP‘s full Business Plan Competition (“BPC”) program. PEP first piloted the LA inside the Cleveland Unit (where PEP currently operates the BPC), and we are now expanding it to the Estes Unit in order to reach a larger population. In some ways, LA serves as a sort of “junior college” to prepare participants for the full BPC. LA is only 20 hours per week (compared to BPC’s 40+), and the program is entirely focused on character development rather than entrepreneurship. This approach helps PEP to emphasize our belief that the foundation for all lasting professional success is a person’s character. Driving Values: The foundation for PEP’s character development efforts are its 10 Driving Values. Effective Leadership: Using a curriculum that was developed by PEP on the basis of classic leadership texts such as “True North” (by Bill George and Peter Sims), this curriculum guides participants through an intense period of self-assessment and personal transformation. Men’s Life: Also known as “Men’s Fraternity,” this program utilizes a curriculum developed by Dr. Robert Lewis called The Quest for Authentic Manhood. The program is based on Biblical principles and uses Jesus Christ as the model for manhood, but it is open to people of all faiths (or no faith). PEP considers itself “faith infused” but not expressly evangelical (i.e. 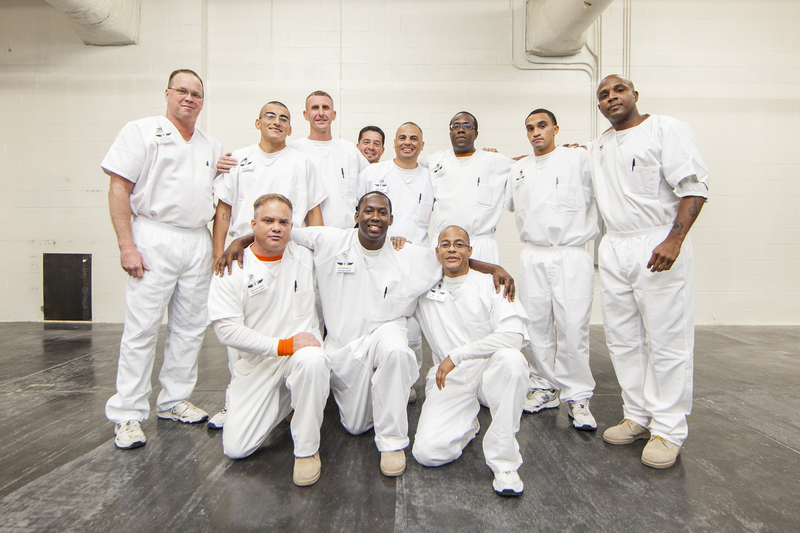 no religious commitment is required for inmates to successfully complete any of our programs). Men’s Life is also open to the entire prison, including men who are not currently involved in PEP. Graduates of the LA will then become eligible for the BPC in Cleveland. Eventually, we plan for the Estes Unit to grow into a full BPC campus. Based on the success of this initial launch, we will then look to replicate the LA into other prisons around the state … effectively building a feeder system of qualified participants for PEP. This will allow PEP to rapidly and cost-effectively scale our impact across the Texas prison system. Please COMMENT with anything you’d like for us to share with these amazing leaders. Favorite quotes, encouraging notes and words of wisdom welcome! UPDATE: Click here to read about the 10 graduates who volunteered to transfer to the Estes Unit to help PEP launch this new program.